A 37-year-old woman previously treated with TVT-O developed recurrent symptoms of stress urinary incontinence during pregnancy. Symptoms started to develop later in the second trimester and progressed gradually to affect her quality of life at the end of pregnancy. In the event she had a very quick spontaneous vaginal delivery at 40 weeks’ gestation. 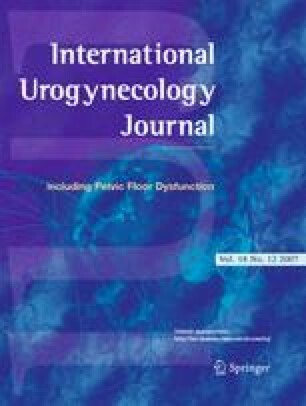 Postnatal physiotherapy successfully controlled the incontinence symptoms and urodynamic studies demonstrated no incontinence with a stable bladder and a normal flow rate. The patient remains well 2 years following delivery with no further treatment.